I travelled down to the first North West Cup of the year in Port Angeles with the Dunbar crew. I’ve always thoroughly enjoyed the races down in Port Angeles. I’d been looking forward to the Port Angeles trip for some time. After lengthy delays in traveling down on the Friday we weren’t able to get in any practice. We did manage a quick course walk though, and thought the course looked awesome. After a good nights rest we got off to a slow start on Saturday. 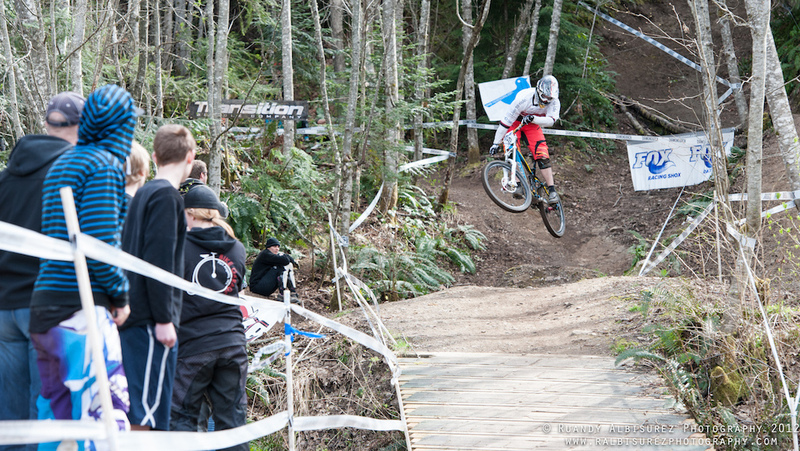 Practice for the Elites at the NW Cups occurs in the afternoon, so we had ample time to get to the course. Once on the bike I couldn’t wipe the grin off my face all day. I loved riding the course, and my bike was working exceptionally well. I had no major incidents in practice and finished the day with a high of adrenaline. My practice run on Sunday morning wasn’t fantastic. I felt wooden on the bike, and after the euphoria of yesterday I was a bit bummed. 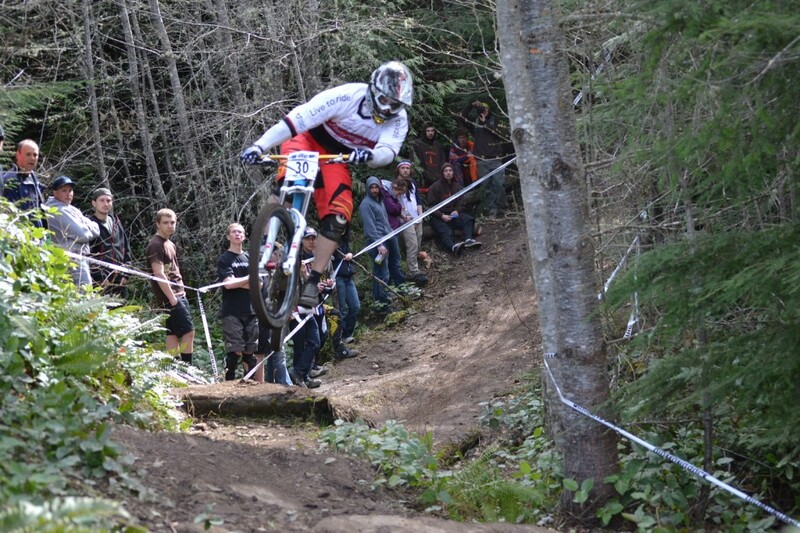 My seeding run was better, I hit most of my lines, and I rode smooth. I think I qualified 10th, which I was happy with considering the strong field at the North West Cups. This hip was scary. The take off was rutted, the landing had stumps, and lots of folks were crashing. Come race time I felt good, and was excited to ride the track. My race run was generally good with a couple small mistakes and was good enough for the 9th fastest time of the day. For that I got some prize money and a North West Cup. STOKED! Finish line jump during my race run.